A new paper reveals how the worst extinction in Earth's history may have been tied to the formation of Supercontinent Pangea. The catastrophe wasn't triggered by an impact from above—unlike another well-known extinction—but by a geological process below, deep within Earth's core. It's often known as "The Great Dying." About 252 million years ago, all life nearly vanished. More than 90 percent of ocean species and 70 percent of land species died. Trees, plants, reptiles, fish, insects, microbes—all nearly wiped out. The event marked the end of the Permian period and the beginning of the Triassic, the period that would give rise to the dinosaurs. But unlike the later Cretaceous extinction, the one that'd kill off the dinosaurs 186 million years later, this one wasn't caused by an asteroid impact, most scientists think. The ultimate trigger, in fact, has remained an ongoing mystery. Scientists have unearthed many clues over the last decades, but they've yet to reach a final verdict. 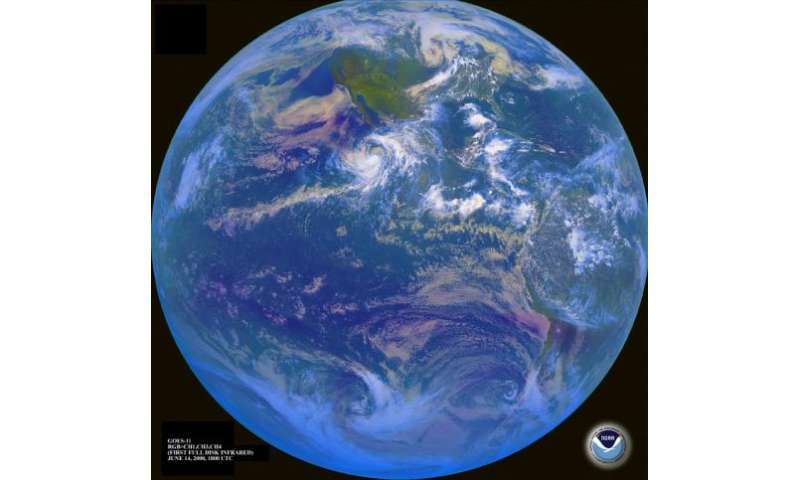 So far the evidence has pointed toward drastic changes on Earth and in the oceans. 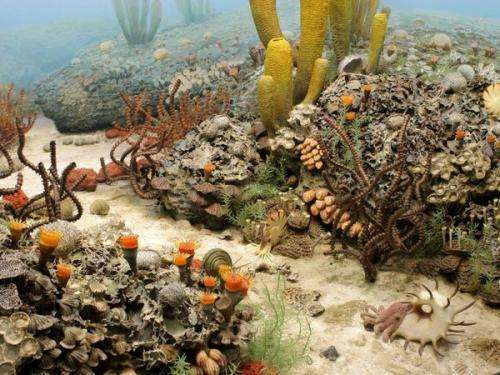 Oxygen levels were low in the oceans, making it difficult for many animals to survive. Carbon dioxide and methane levels were unusually high, contributing to major warming of the planet. Acid rain fell, and made sea water so acidic that all coral reefs disappeared. The inland turned into an dry desert, hot and arid, and devastated by major wild fires. The climate also varied between periods of sudden warming and cooling, making it impossible for many species to adjust. Many of these changes have been tied to the eruption of two major volcanoes—one in southern China 260 million years ago, and one in northern Russia 251 million years ago. These would have released the large amounts of carbon dioxide, leading to greenhouse effects and global warming. The carbon dioxide also made the seawater acidic, killing off many marine organisms. The eruptions would also have led to the catastrophic release of methane, another potent greenhouse gas, stored as methane "ice" nearby under the seabed. But the drama may have already started earlier, some scientists think. Drastic drops in sea levels had already perturbed ocean currents and wind patterns, inducing climate change. And yet, all these clues could in fact be related. In a paper published this month in Science China, Earth Sciences, two scientists attempt to pull the curtain further back, to give a fuller picture. According to Dr. Yin Hongfu and Dr. Song Haijun of China University of Geosciences (Wuhan), all the events described above may have been set in motion 50 million years before the climax of the catastrophe. According to the paper, here's how the story may have begun. 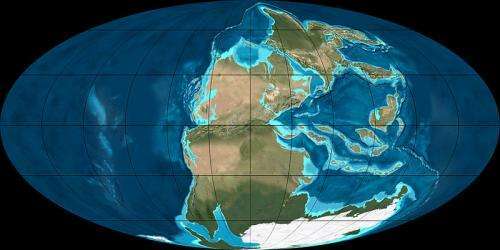 Some 300 million years ago, at the beginning of the Permian period, all the world's lands had joined into a single supercontinent, Pangea, and all the world's sea water had formed a global ocean, Panthalassa. What's more, the inland region of one giant continent would become dry and arid, leading to the disappearance of much vegetation. When the lands joined, some tectonic plates moved under others and sunk deep into the Earth's mantle. That cooler material then may have reached all the way to the Earth's core layer. Evidence for that includes the reversal of Earth's magnetic field that occurred around that time, an event called the Illawarra magnetic reversal. The accumulation of cool material near Earth's core then could have led to the formation of a large mantle plume (by a process called thermo-convection), other researchers had suggested. That "super-plume" would eventually reach the Earth's surface in two separate bursts—first with an eruption in China 260 million years ago, and then with the other in Russia 251 million years ago. In short, the paper argues that the Great Dying may have been an ongoing process tied to the formation of Pangea, which led to sea level change and climate change, but also and ultimately to what went on inside the Earth. However, many scientists disagree with the theory that the formation of Pangea played any role in the extinction. Some argue that the formation of Pangaea happened too early, and that the dying happened too rapidly, for the two events to be linked. Others don't think that sea level changes played a role in the extinction. "I don't agree with all the links they propose," says Paul Wignall, a Professor of Palaeoenvironments at the University of Leeds. "The peak regression [low sea levels] in the late Permian is significantly before the mass extinction and so unlikely to be a factor." As for the other factors, most scientists seem to have reached a consensus. "The paper is not really saying anything new but giving an overview of the key factors responsible," Wignall adds. "Nearly all, including me, blame volcanism." But the paper's real point, it seems, is that both the formation of Pangea and the volcanic eruptions were caused by processes deep inside the Earth—which could have been related, even if one occurred before the other. The links between inner Earth, Earth's surface, and the evolution of life is "an important theme of the earth system science that is worthy of further investigation," wrote the authors. "Long as might be the road, keep searching above and below I would." So, the author is saying coral re-evolved after going extinct? The old reefs were made by rudist colonies, not coral colonies. Not all corals are reef-builders. Which doesn't answer the question. Then look it up Shootist. Don't blame others for your obtuseness. Oh please sooner or later it will be blamed on a meteor just like a groups of scientists are attempting to do for each extinction event recorded in geological history. And who can blame them. The great career success those that successfully blamed a meteor impact for the much more minor cretaceous extinction event is a great motivator. It doesn't matter what evidence they have nor how overwhelming. The truth is some facts in science are pushovers for a dramatic makeover. Facts that really defy proving beyond a doubt either way for sake of occurring hundreds of millions of years ago are prime targets of researchers trying to make a career making "discovery". The first group of researchers that can corral enough data points and make a successful marketing push to blame a meteor impact will end all this other far more valid theorizing. And a few have already tried, just not successfully. Regardless of what they are saying now, sooner or later it will be blamed on a meteor impact. "The climate also varied between periods of sudden warming and cooling, making it impossible for many species to adjust." Those that did survive did so biochemically, providing the gene pool of life since then with greater robustness. Unfortunately Grenpeace & Co. scuttled the low emissions Atomic Age so China now has no access to iPhone quality cheap atomic energy and its coal plants may stress the biosphere due to the high *rate* of change as organisms try to adapt back to their hotter high CO₂ old ways.